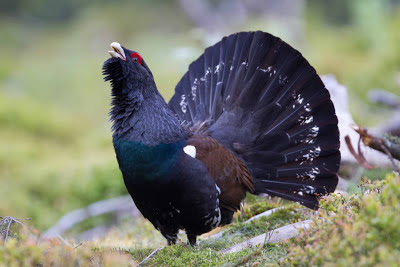 Capercaillie is the largest species of grouse in the world, and is found in mature coniferous forests in northern and central Europe. They just look incredible, especially when the males are displaying as in the photo below - imagine coming across that in the forest, unreal! Hopefully one day I will see one! 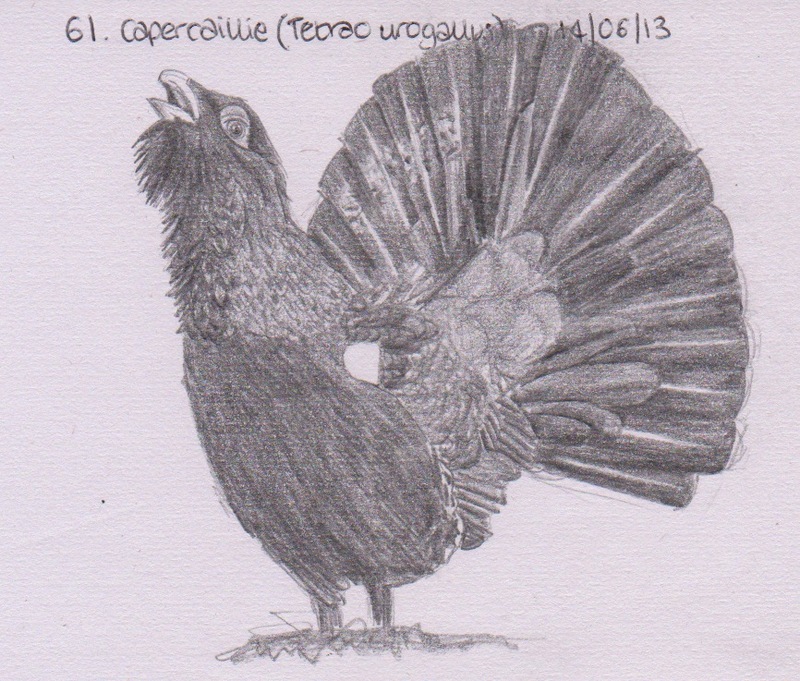 Capercaillie, ©dpalmer_md, via Flickr Creative Commons. I only had just over half an hour to do this but am fairly pleased with it considering.